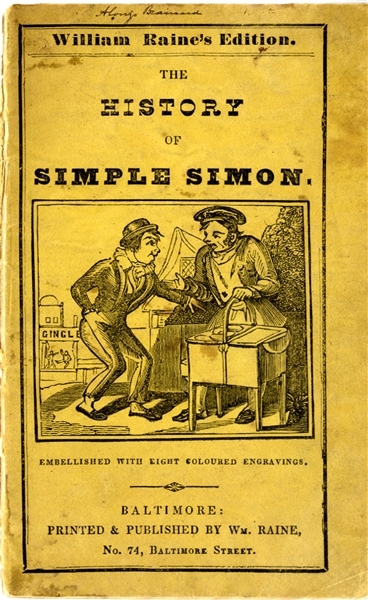 Booklet, “The History of Simple Simon” by William Raine, Baltimore, 16pp. octavo, c. 1830’s, with eight coloured engravings. Front cover has separated, else very good.